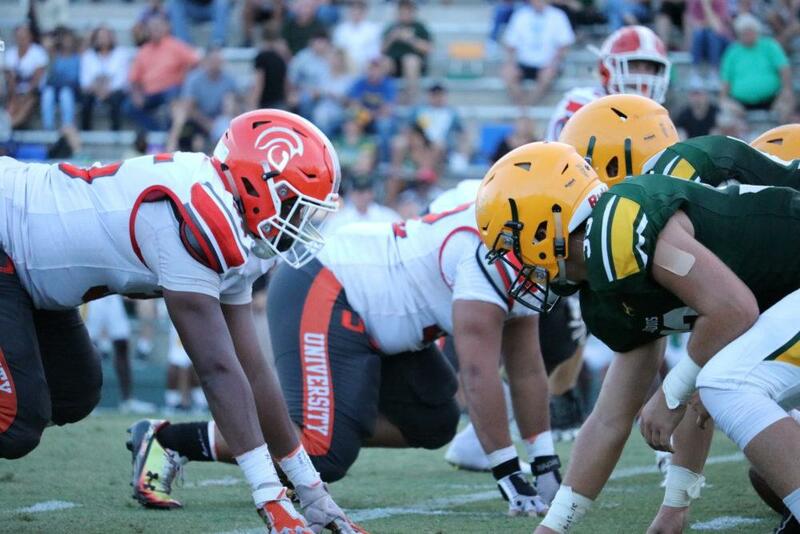 DELAND- The Titans’ football team went through their scrimmage against the DeLand Bulldogs on August 17th at Spec Martin Stadium, ready to kick off the season. DeLand made their first touchdown within in the first quarter, leading 7-0. Running Back Kyle Metiam scored a touchdown for University with 2:05 left in the first quarter, making the score 7-6. DeLand counteracted with a touchdown of their own just minutes later, taking the lead 14-6. Within the second quarter, DeLand kept lead, scoring 21-6 with 5:28 remaining. DeLand gained yet another touchdown later on, making the score 28-6 by the end of the third quarter. By the fourth quarter, DeLand made 35-6. The final score of the night finished with 35-6, DeLand taking the win. University left the field ready for next week’s game.